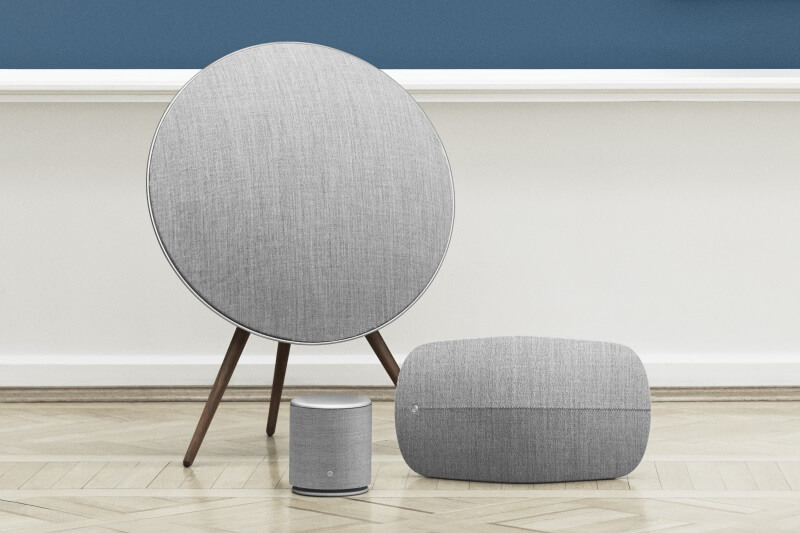 BeoPlay M5 is a powerful, wireless speaker with True360 omnidirectional sound, crafted aluminium top and exchangeable wool blend fabric cover from Kvadrat that fits your interior decoration. Sound that matches your interior. With its visually stunning appearance, the design of Beoplay M5 is inspired by the idea of using sound as part of your interior decoration. 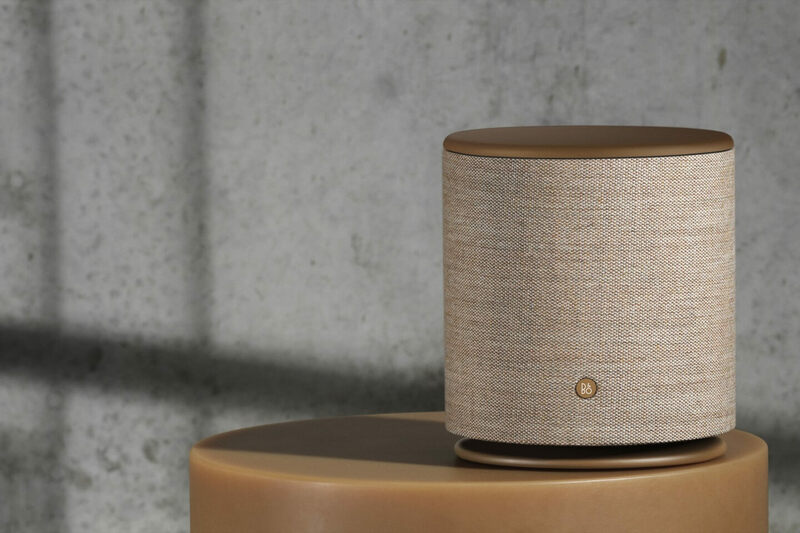 Beoplay M5 builds on the design language of Beoplay A6 and Beoplay A9, and drawing inspiration from this family Beoplay M5 is covered in a premium and acoustically transparent wool-blend fabric from Danish high-end manufacturer Kvadrat. The wool-cover can easily be replaced to fit your interior decorations, and using delicate multi-colored threads the fabric provides acoustic transparency while maintaining the aesthetics in nuances that complements the speaker. Fill your room with True360 degree Bang & Olufsen Signature Sound. 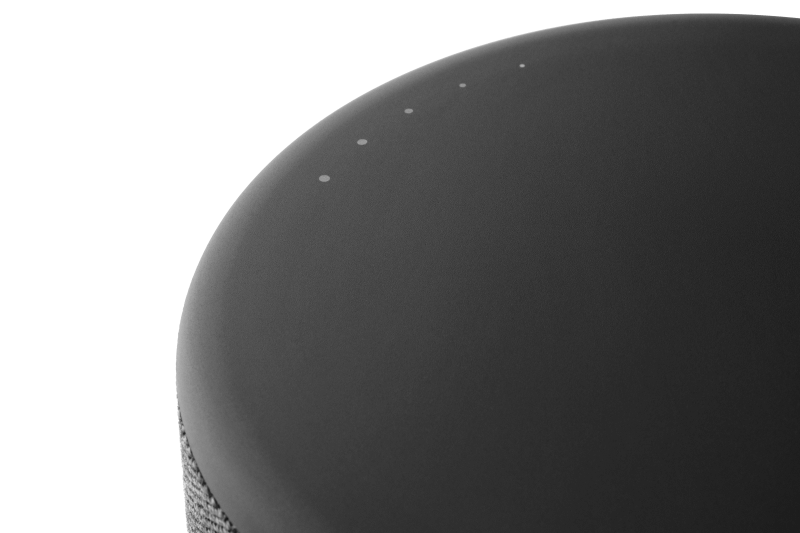 Underneath the aluminium disc is a body manufactured from rigid polymer to house a large acoustic chamber that delivers the Bang & Olufsen Signature Sound optimized for the home. The speaker top is a disc made from crafted aluminum, which has been pearl blasted and anodized to create a matte and luxurious appearance. The disc provides a mesmerizing viscosity-based tactile functionality toned down to the essential, and with a 15 percent movement in each direction the disc will adjust the volume and calmly rotate itself to its neutral position - not too quickly and not too slowly as a testament to the beauty of functional design. 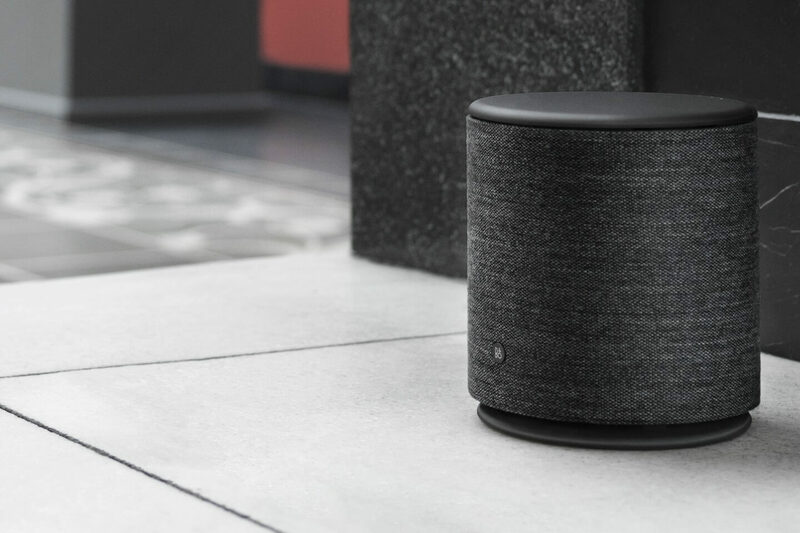 Pressing the disc gently downwards will play or pause the speaker, and using the same gesture with an inactive Beoplay M5 will make it join other music experiences going on in your home. Connecting rooms with Chromecast built-in. Let music flow through every room by connecting more multiroom enabled speakers together and experience seamless sound. 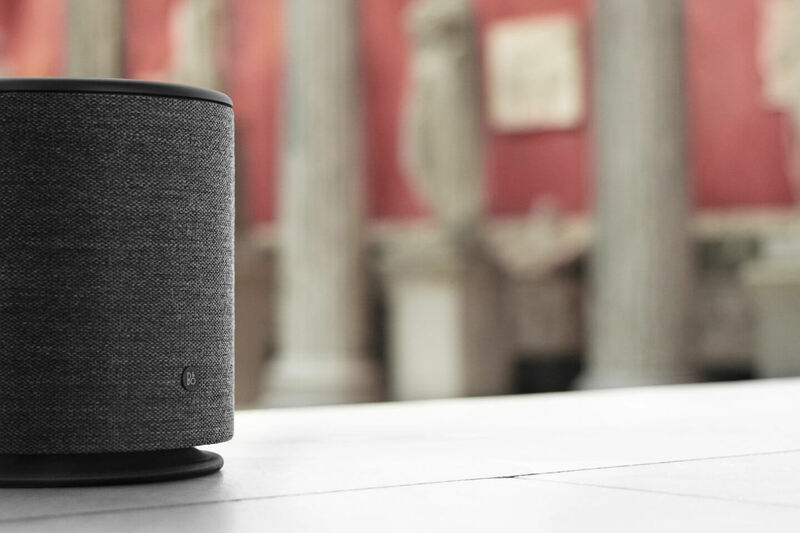 With Beoplay M5 you can easily connect to any Chromecast- enabled speaker to create a multi-room experience that lets music flow seamlessly through every room in your home. 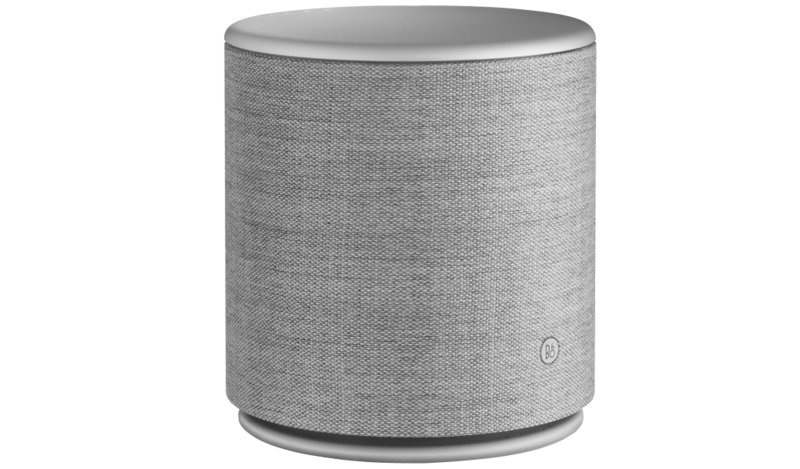 This includes the B&O PLAY speakers Beoplay A6 and Beoplay A9, which both come with Chromecast built-in and is a perfect solution for extending the Bang & Olufsen Signature Sound and beautiful design throughout your home. 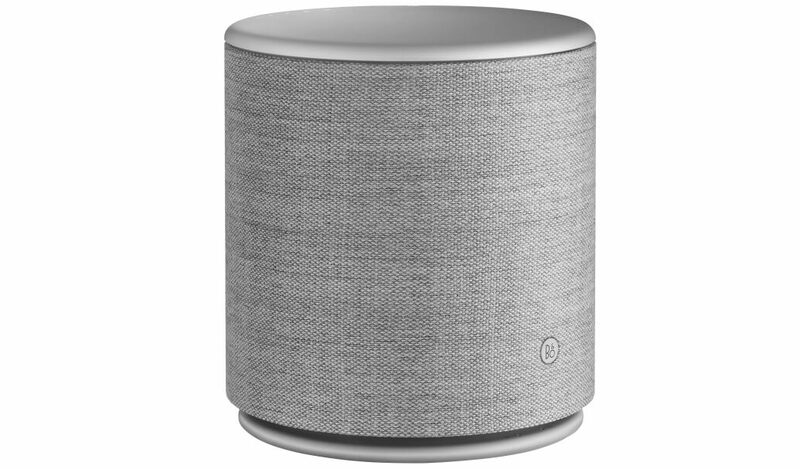 Beoplay M5 also supports Beolink Multiroom, Spotify Connect and QPlay 2.0 and at the same time embraces Bluetooth and Apple Airplay. 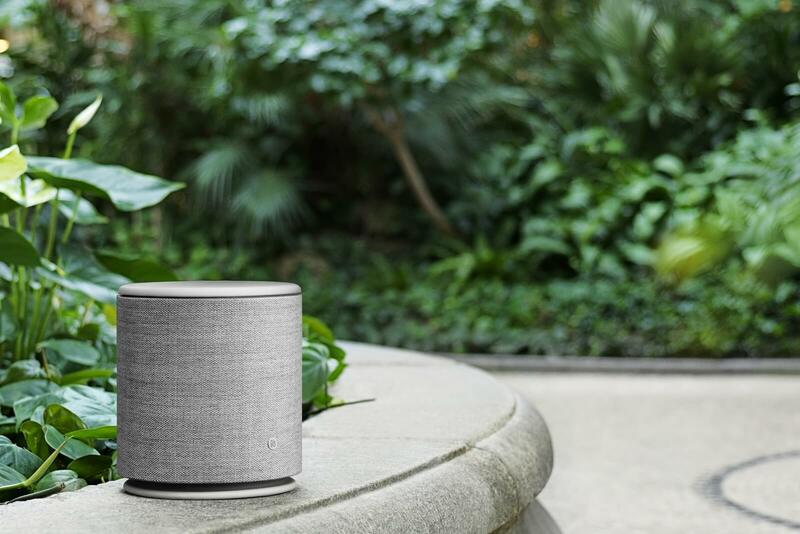 Experience BeoPlay M5 in your home. Don't miss a manufacturer's campaign or other advertisings where the price is reduced for a limited time. We will inform you automatically if your desired price for beoplaym5 is reached or we have another suitable offer for you.